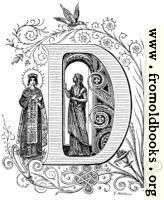 This “vignetted” initial capital letter “D” was used as a drop cap at the start of a chapter. The capital D is framed inside a stylized frond or creeper vine emanating from a vase with fruit on it; behind (to the left of) the D stands a person with a halo (itself giving off fronds) and wearing ornate robes and a crown. 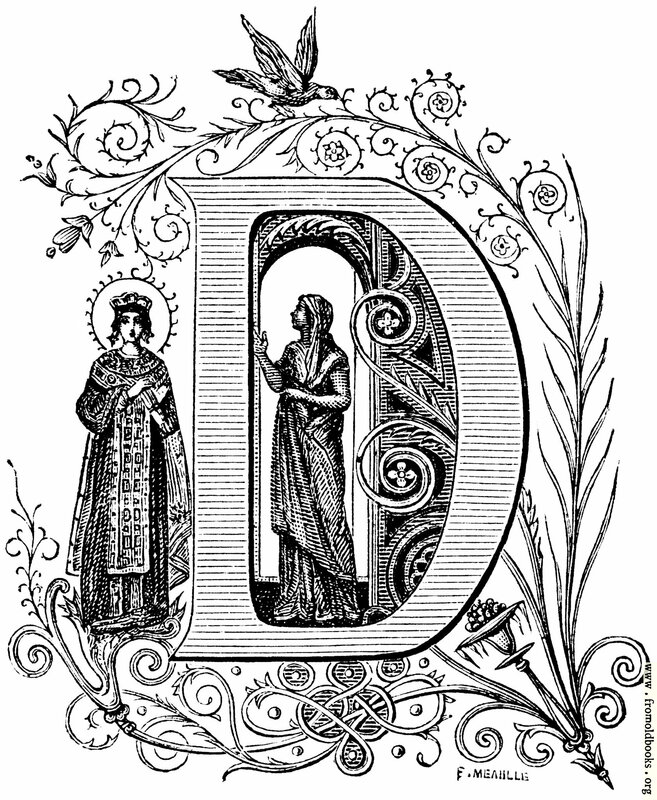 I am guesing that this is intended to represent Saint Louis IV of France (1214 – 1270), known for helping the poor; inside the D is a lady wearing poorer garb, and either in shadow or dark-skinned. There’s a bird eating one of the leaves of the top-most frond above the letter.